Lot’s going on over at my end, not least of which is the release of my first ever Syatt Fitness t-shirt! After only one week the first batch is nearly sold out so it looks like I’ll be ordering more very soon. 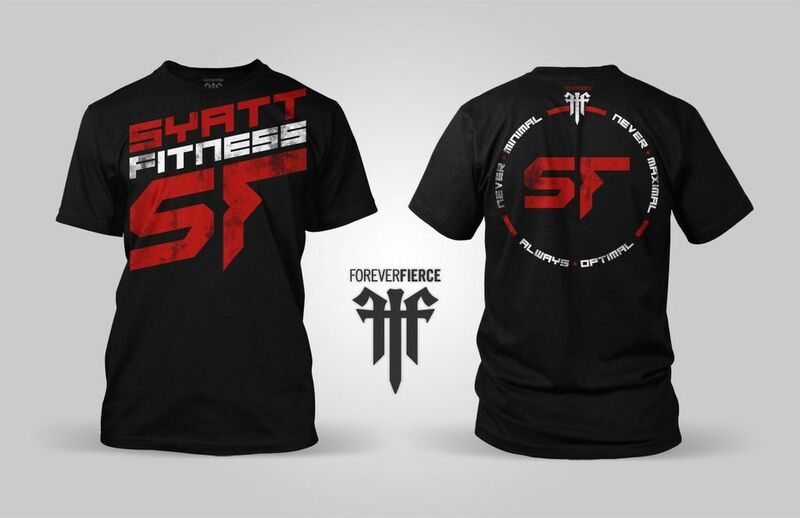 To order your Syatt Fitness T-Shirt —-> CLICK HERE! You can —-> CLICK HERE <—- to order your shirt today! Aside from that, I’m now back in Delaware to begin [what is hopefully] my final semester of University. Assuming all goes according to plan, I’ll complete my degree in January at which point I’ll return to Boston to work full time at Total Performance Sports. I’ll be honest…I’M SO EXCITED!!! Anywho, this edition of The Week in Review is chalk full of great articles and strength lessons so, if you find yourself bored or searching for an excuse to read some fitness-related material, there will be no shortage in here. Monday’s Strength Lesson: When Deadlifting, to put yourself in the safest and most efficient position, actively try to force your shoulders behind the bar prior to initiating the pull. By trying to force your shoulders behind the bar (while keeping your chest up tall), it’ll be easier to maintain a neutral spine while putting you in the best position to keep the bar as close to you as possible. I’d note, you likely won’t be capable of physically moving your shoulders behind the bar; most people simply aren’t mobile enough to do so. However, by actively trying to do it you will put yourself in the safest and most efficient pulling position. For illustrative purposes, you can watch a video progression of my client Santiago learning exactly how to do this by clicking HERE. Tuesday’s Strength Lesson: Any trainer can design a challenging workout. It takes a great coach, though, to design an effective training program. Before you praise your trainer just because she/he makes you sweat, ask yourself if they deliver the results you were promised. Have you lost fat? Gained muscled? Improved performance? Decreased pain? I don’t care how much you sweat…if you aren’t seeing results it’s time to find a new coach. I recently wrote an article explaining each of the above mentioned points. Click HERE to read it. Thursday’s Strength Lesson: A quick and easy way to get more leg drive during the Bench: Actively try to drive your heels into the ground as hard as humanly possible. I’d note, many lifters (including myself) bench with their heels elevated and toes pressed into the ground. In this case, trainees often get confused and wonder how they’re supposed to drive through their heels if they aren’t even touching the ground. Simple: Even though the heels aren’t touching the ground – and often aren’t capable of touching the ground because of the leg position – try to drive through them and force them through the floor. Even if they don’t budge an inch, doing so will generate more force, increase leg drive and probably lead to a stronger Bench.